How Gwinnett County bail bonds work is a bit of a mystery to most people. Here at Anytime Bail Bonding, Inc., we understand that and want to help you every step of the way. We will explain every step of the bail bonds process in Gwinnett County so that you understand what is happening and why. If you have a friend or family member who needs a bond to get out of jail, call us immediately at (770) 339-9000 or stop by our office at 771 Buford Drive, Lawrenceville, GA 30043. Most people who get arrested and taken to jail have the option of getting out of jail if they post bail. Bail is usually a set amount of money the courts require as a guarantee that the arrested person will come back to face trial. Bail can be paid as straight cash directly to the court. Or the arrested person uses the services of a Gwinnett County bail bondsman to get the bail covered with a bail bond. Call Anytime Bail Bonding, Inc. to get the bail bond process started. You can start the process before or after the bail amount is set. After being detained, the arrested person will be processed into the jail before appearing in front of a judge. The judge is the one who will set the bail amount. The bail bondsmen in Gwinnett County cannot do anything before the judge sets the bail. To get the process started, the bail bondsman will need to know the defendant’s name and where he or she is being held. It would also be helpful to know that person’s date of birth, what the charges are, and bail amount if already set. The bail bondsmen in Gwinnett County will contact the jail to determine who much the exact bail is. At that point, you will need to come into the office to sign paperwork, pay the bail bond fee, and put up collateral as needed. 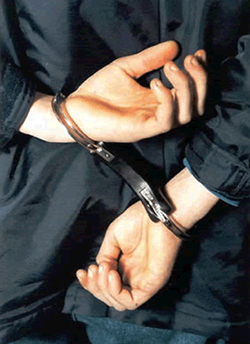 The person who signs the paperwork is putting up a financial guarantee that the arrested person will appear in court. Under Georgia law, a Gwinnett County bail bonds company can charge a bail bond fee in the amount of 15% of the bail amount. So, if the bail is $10,000 the fee will be $1500. In some cases, the bondsman will require you to put up additional collateral on top of that fee. That collateral remains with the bondsman until the arrested person’s case is settled. Once the paperwork is signed and all financial guarantees are in place, the bond company will pay the bond to the courts and the arrested person will be released. Hopefully, this explains the bail bonds process in Gwinnett County. If you have a friend or family member who needs assistance with getting out of jail, call Anytime Bail Bonding, Inc. for a free consultation.